National charity The Sick Children’s Trust is excited to announce a new date for ‘An audience with Michael Crawford’, taking place at The Guildhall in Cambridge this summer. The event has been scheduled for Wednesday 15 August and promises to be a sell-out occasion. 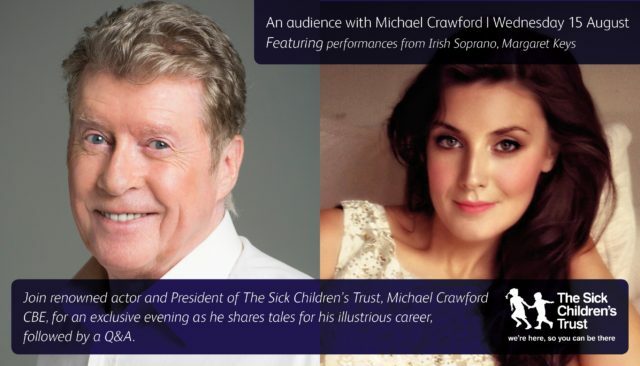 ‘An audience with Michael Crawford’ is being held in support of The Sick Children’s Trust – a charity which supports families with free ‘Home from Home’ accommodation when their children require lifesaving treatment in hospital. The charity has two ‘Homes from Home’ in Cambridge, Acorn and Chestnut Houses which are located at Addenbrooke’s and The Rosie Hospital, supporting around 800 families every year. Tickets to ‘An audience with Michael Crawford’ cost £27.50 per person and will go towards running The Sick Children’s Trust’s ‘Homes from Home’, which rely entirely on voluntary donations to support families 365 days a year. 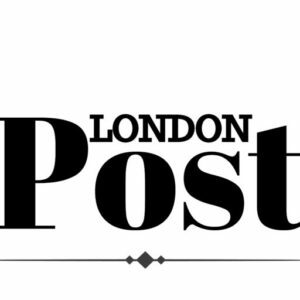 The event, organised by The Sick Children’s Trust’s Cambridge Fundraising Committee, will see the charity’s President, Michael Crawford, in conversation with ITV Anglia Presenter, Jonathan Wills, followed by an audience Q&A. The evening will also feature performances from Irish Soprano Margaret Keys.